When someone is addicted to a drug, they wind up trapped in a cycle of acquiring and using their substance of choice. If they are suddenly confronted with nothing to fill the time previously spent on the drug, they can become anxious. This is particularly true when the addict is still experiencing the effects of withdrawal. Generalized panic and anxiety is considered one of the worst feelings in the world. There is no visible cause, so there is nothing they can do to make it stop. The individual is left feeling powerless and helpless when faced with such anxiousness. This anxiety is one of the leading causes of relapse. Unfortunately, with most addictions, medication is not an option, but there are other options to control anxiety; one of these options is an ancient practice known as Qigong. Qigong is an ancient Chinese technique for healing and relief of tension. According to the Centers for Spiritual Healing, a regent of the University of Minnesota, Qigong is a form of cultivating and healing life force using a variety of different techniques. Although relatively new in the west, the Chinese use Qigong to heal, recover, and help. There is internal Qigong and External Qigong. Both practices are viable treatments for addiction and withdrawal. The internal Qigong focuses on mental exercises to make heal the mind and make it stronger and the external Qigong focuses on the physical aspects of healing and strength. Qigong is an ancient Chinese art form that utilizes controlled movements and breathing to rebuild vital energy within the body. This helps to heal and strengthen the body and mind. Often referred to as Chinese yoga, Qigong forms are useful in a several different therapy settings. When deciding to use Qigong as a therapeutic practice it is important to understand the different forms of Qigong and what they accomplish. What is Qi or Chi? And how can it be used to Treat Addiction? Qi or chi (pronounced chi) is the eastern concept of a universal energy. It is said to flow through all living things and all people. It is the life force that separates the living and nonliving things. Qigong is based off this energy and is said to allow living beings to access life energy when they perform the Qigong forms. The exercises are designed to balance Qi and draw life force. When someone is addicted to a substance, according to the eastern philosophy, his or her Qi is out of alignment. 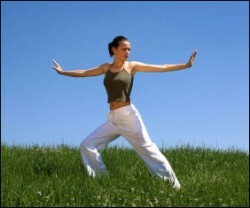 Using exercises like Qigong draws life and bring the Qi back into balance. 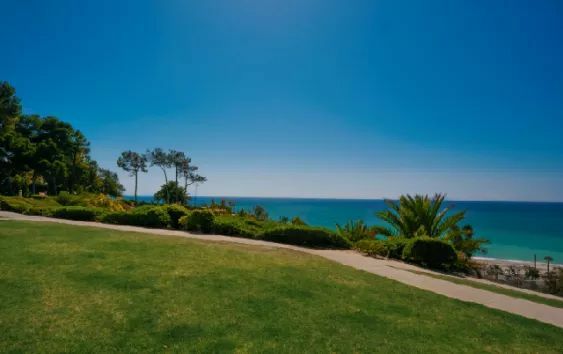 Whether you believe in the eastern philosophy or not, recovery programs with Tai Chi or Qigong as a part of therapy have a better recovery rate than those that do not. They also have a good record for preventing relapse long term. This is part of the reason why the medical community is currently studying both practices for other applications. improves many of the physical effects of addiction. Five Animals Qigong or Winqinxi Qigong – This form is said to treat a wide variety of diseases including addiction. It is one of the few forms that is usually spontaneous. The person practicing it can take any animal form and change it as the person’s energy changes. This is an excellent exercise for addicts who need something to do with excess energy and nervousness. Breathing Qigong – Breathing Qigong is relaxation or meditative breathing. This is a wonderful way to relax and helps addicts to reduce tension and stress. It has the added benefit of convenience. Since Breathing Qigong is a simple form, it can be done just about anywhere. Relaxation Qigong – This is an entirely mental form of Qigong. It is very similar to guided mediation and other relaxation techniques. It is said to help insomnia due to drug withdrawal, balance emotions, and relieve pain. Laughing Qigong – This form of Qigong improves overall happiness of patients in residential facilities according to the National Library of Medicine. This includes helping with depression, addiction, and anxiety. These are only a few of the practical forms of Qigong. Many more help with specific conditions. Some of the meditative and spiritual forms of Qigong are combined with other therapies like guided visualization and rescripting. These forms are not only practical for long term use, they can be done almost anywhere the addict feels the need to recenter themselves. Some of the Qigong forms are very simple to learn and very easy to practice. No matter which form a person chooses, there are both mental and physical benefits to Qigong. Some of these benefits are proven through research and testing by scientists and doctors all over the world. Most people simply benefit from the exercise and peace that this practice brings. Although each individual is different, everyone is capable of using at least one form of Qigong. Most of the physical forms of Qigong can be modified to accommodate people with physical limitations such as paraplegia, back issues, and knee problems. The drawbacks of practicing Qigong are relatively minor compared to its benefits. One of the main drawbacks is that not many people in western society have heard of it. It can be hard to find resources and practitioners of this ancient art in the United States. Fortunately, as research continues more and more doctors, instructors, and therapists will become familiar with it. Qigong requires patience, practice, and concentration. Like many other forms of yoga and Tai Chi, Qigong emphasizes control and focus. Some addicts find this difficult at first. The amount of concentration varies depending on the form. Some therapists suggest addicts start out with one of the less complicated forms then move on to the more difficult and intricate forms. Free form Qigong is good for addicts who have difficulty meditating or concentrating. This is only considered a drawback for some people. There are many rumors about the benefits of Qigong. Although it is true with spiritual and physical practice no one knows what can be accomplished, believing unrealistic claims is not advisable. Many conditions might prevent a person from doing Qigong and it is not a cure all, despite some claims that it is. Be sure to check with a knowledgeable doctor or practitioner before starting any routine that might be harmful. There are not many risks associated with using Qigong as addiction therapy. If you are considering any of the more active Qigong forms, it is always a good idea to consult a doctor before starting it. This includes people with knee and back injuries that might get worse after stretching. People who suffer from addiction easily overdo things in general and too much can lead to over exertion. To avoid this do Qigong regularly but not obsessively. There are many books available on the practice of Qigong. If you use one, be sure to read the warnings about the practice. It is important to remember that many people make claims about their style of Qigong. These claims are not backed up by any science. When looking for a center that has Qigong make sure that they are reputable and have the credentials to teach the forms that you want to learn. Like many other resources, Qigong is excellent for addiction and withdrawal when combined with other treatments. Not only does it fill some of the time left empty by the addiction, it can relax both the body and the mind. Each addiction is different but most addict benefit from using Qigong to exercise both the body and the mind. Holistic.org can help you find a treatment center that offers Qigong as part of the overall holistic process of addiction recovery. Call our helpline toll-free to speak with a specialist and for immediate help in finding treatment for yourself or someone you love.